Until 31st December 2018, buy MPK Mini MK II, MPK Mini MKII LE White, MPD 218, APC Mini, APC Key or MIDIMix and receive exclusive Ableton-ready sample content from industry-leading premium sample creation and sound design developer CR2. APC Key 25 is the first controller designed for Ableton Live that is equipped with a high-performance keyboard. Uniting the power of a clip-launching panel with a keyboard interface, the APC Key 25 couples real-time control of Ableton Live with traditional composition tools. The controller includes 25 synth-action mini keys, a 5x8 clip-launch matrix with tri-color visual feedback, 8 control knobs, USB power, and plug-and-play connectivity. 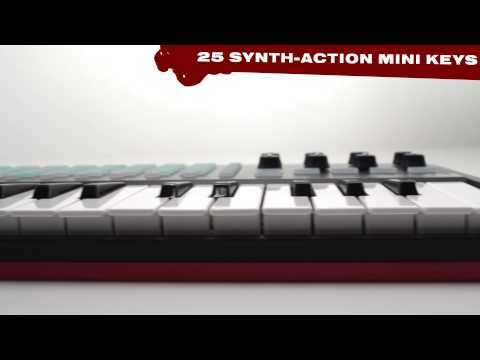 The APC Key 25 comes mapped to Ableton, but can also be used as an all-purpose MIDI controller. Considering purchasing the Akai APC Key 25 ? Have questions? Ask people who've recently bought one. Do you own the Akai APC Key 25 ? Why not write a review based on your experience with it. 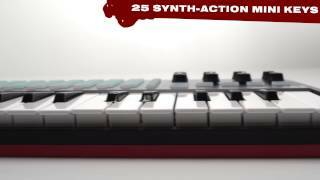 Seen a video for Akai APC Key 25 online or have you own video? You will earn 150 loyalty points with this product worth £0.38, when logged in. Check out Akai APC Key 25 on DJkit.com!